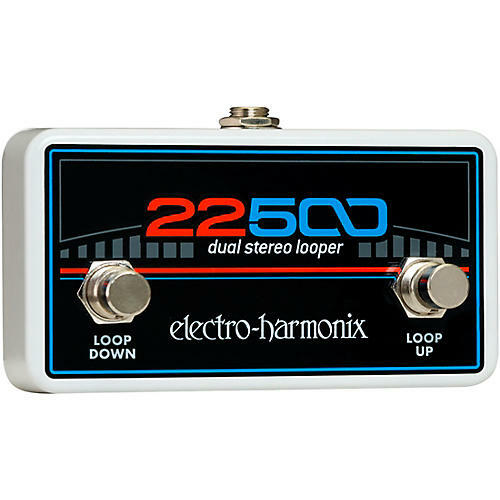 A wired remote control for the 22500 Dual Stereo Looper that gives you foot control over paging up and down through the pedal' Loop Banks.The 22500 records and plays in up to 100 Loop Bank. The Foot Controller makes it easy to navigate through the 22500' 100 Loop Banks, moving up or down by either one or ten banks at a time. A wired remote control for the 22500 Dual Stereo Looper that gives you foot control over paging up and down through the pedal' Loop Banks. The 22500 records and plays in up to 100 Loop Bank. The Foot Controller makes it easy to navigate through the 22500' 100 Loop Banks, moving up or down by either one or ten banks at a time.